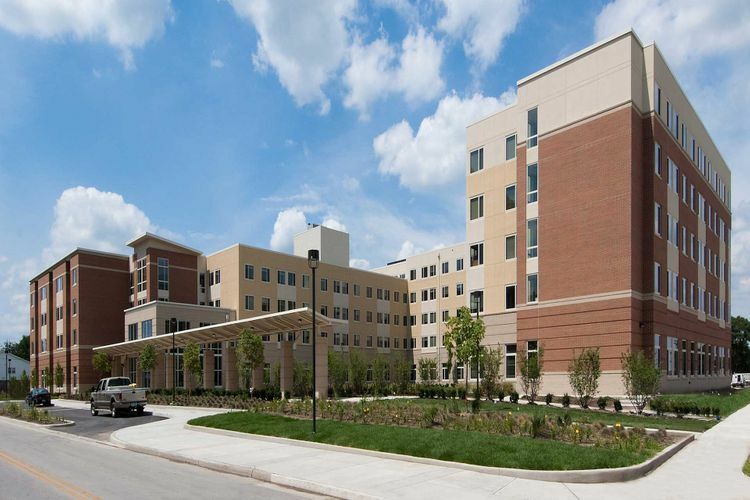 The BGSU Student Housing Project included the construction of two new residence halls on the BGSU campus. Falcon Heights and Centennial Hall each house approximately 650 students in 193,000 SF and 143,000 SF of space, respectively. What is so spectacular about this project is not its size or even its amenities, but the timeframe in which it was completed. As of December 2009, there was no design for this project and yet a student availability date of August 2011 was promised. The design phase took only four and a half months with construction starting in May 2010. OCP was involved in the beginning phases of this project and spearheaded the innovative concept of panelization, the only method that would allow such a large project to be completed in such a short amount of time. Panelization involves fabricating light gauge steel panels off site, in this case with exterior sheathing applied, and shipping them directly to the job site for immediate installation. The panels are lifted from the truck in sequential order and immediately set in place by a crane. This process allowed all exterior and interior framing to be completed within 17 weeks. This particular project required 3 to 4 tower cranes to be working simultaneously. 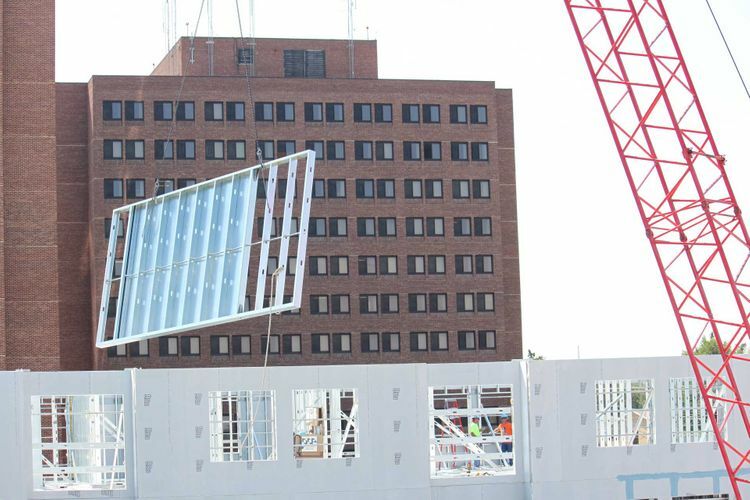 The panelization process encompassed the erection of 2,448 panels totaling 36,110 LF of wall. 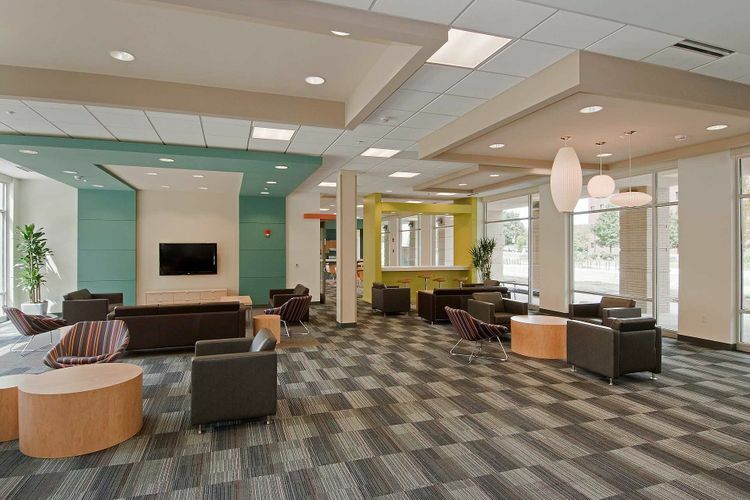 From concept to reality, the BGSU Student Housing Project was completed within 21 months. That included design, demolition and complete construction including landscaping and punch lists. The owner and the university wrote letters of thanks commending both quality and schedule execution despite the extreme time pressure. 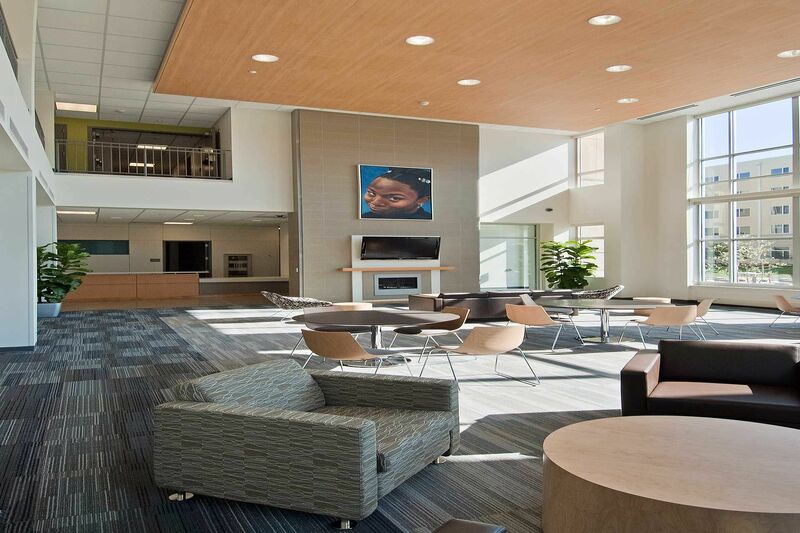 OCP used Lean concepts to manage the schedule and insure a high standard of craftsmanship was maintained throughout the project. This project is exemplary of all that Build Ohio represents.